At Richland Creek Family Dentistry we strive to provide you a comfortable dental home. Our office has a longstanding history caring for the Nations and Sylvan Park communities under the care of Dr. Robert West prior to his retirement. We appreciate the support of our neighborhood businesses and friends that embody the spirit of Nashville. We are excited about the ever-growing West Nashville community. Dr. McNutt and his team look forward to meeting you! Below is the information you need about our location, hours, insurance acceptance and billing. We are excited to offer an In-Office Savings plan to help save you money! 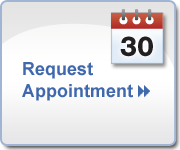 Ask about details or schedule an appointment to begin preserving your smile today. ...and others. Call our office 615-383-1444 and we will verify your network eligibility. We accept cash, check, Visa, Mastercard, Discover, and American Express. We also offer flexible payment plan alternatives including CareCredit. Please call 615-383-1444 for details.